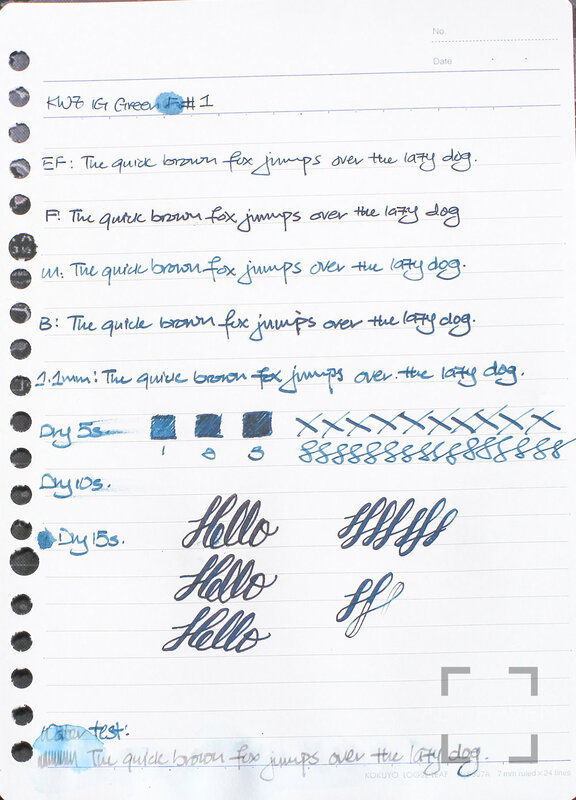 My thanks to Straits Pen for the ink sample. I’m super behind on reviewing and using my ink sample stash. Ok, I’ll stop whining. KWZ IG Green #1 has the characteristic scent which I actually like. IG Green #1 is part of KWZ’s Iron Gall series. It’s a dark teal colour that shades beautifully. It goes from deep dark green almost black to a rich teal, more green than blue. I love this colour a lot. This is a rather wet ink but the dry time is rather good. 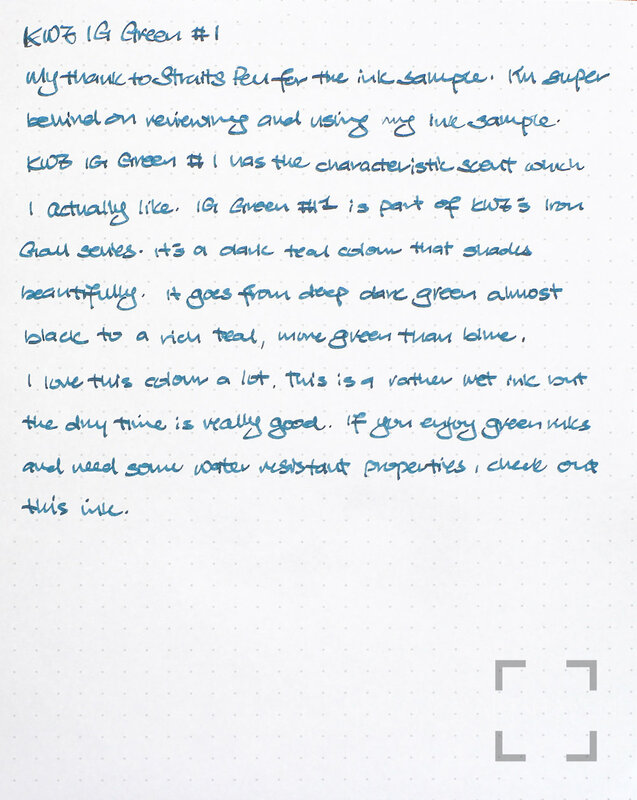 If you enjoy green or teal inks and need some water resistant properties, check out this ink.